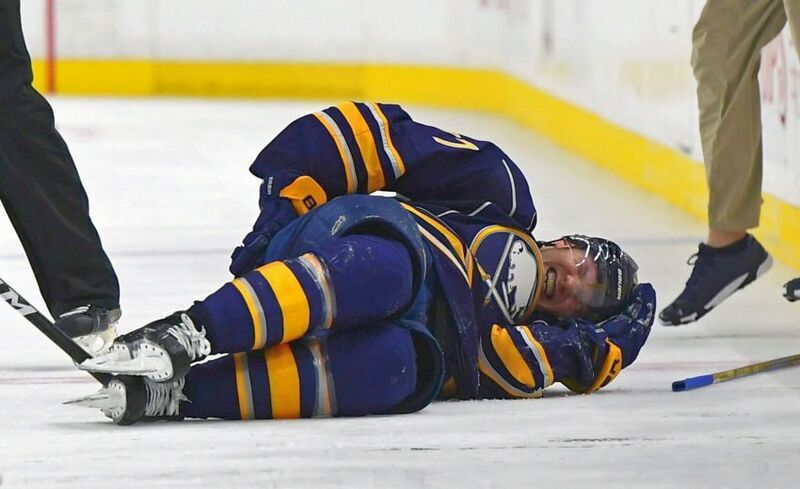 BUFFALO – Sabres defenseman Dmitry Kulikov, out the last 12 games with a lower-back bruise, practiced this morning and could return this week, coach Dan Bylsma said. Kulikov, 26, has been dogged by the injury all season after getting knocked into an open bench door Sept. 30, his preseason debut. The Russian has left the lineup three times, most recently after the Sabres’ 4-3 win Dec. 27 against Detroit. He has one assist in 20 appearances and has missed 26 games. The Sabres play Tuesday in Nashville and Thursday in Dallas, their final game before the NHL All-Star break. Kulikov, a left-handed shot, skated beside Taylor Fedun this morning, a righty. The Sabres won 3-2 in overtime Saturday in Montreal with five righties, a rarity. Bylsma said Kulikov skated hard on his own the last two days. Kulikov couldn’t talk following practice because an errant stick hit him in the mouth.